Abdul Rahim Architectural Consultants (ARACO), a leading engineering consultant in design and project management in the UAE will begin its supervisory role on the newly started construction of an approved hospitality project in Dubai’s Business Bay. The four-star hotel which is designed to meet standards and classifications outlined by the Dubai Department of Tourism and Commerce Marketing will be one of the newest hospitality projects in the city’s buoyant and growing tourism and travel sectors. With big projects such as the Expo 2020 on the horizon, and Dubai’s growing prowess as a destination for business and luxury travel, the sector is in need of hotels and leisure projects. At present, Dubai accounts for 30.3% of hotel rooms or hotel keys in development, which translates to 29,200 keys at the end of October 2017 according to a recent report by STR—a data benchmarking, analytics, and marketplace insights company for the global hospitality industry. This figure is the highest for the MENA region outpacing Saudi Arabia, and spread across 95 hotel projects in Dubai over the coming years. The frenzied development of new hospitality projects should be understood in the context of the UAE’s projected growth in the tourism and travel industry for the next decade which outpaces the 4% expected in the global sector. According to the World Travel and Tourism Council, the growth of the tourism sector in UAE at CAGR of 5is expected to reach over AED 260 billion by 2027. As a factor of the UAE’s GDP, the tourism and travel sector will make up 12.4% boding well for the country’s ongoing economic diversification strategies. Construction on the new hospitality project is set to begin this month with expected completion in 21 months. 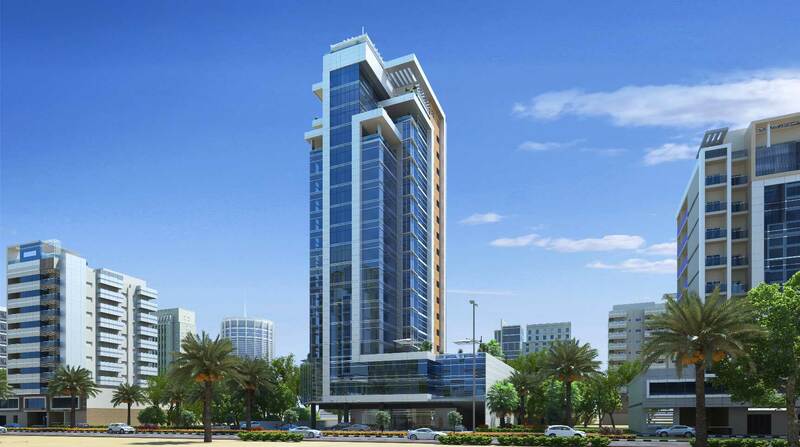 The hotel will add a further 228 rooms, and 16 suites to Dubai’s hospitality sector. The total built up area is anticipated at 235,000 sq ft across the 17-floor hotel which will also consist of 1 basement, the ground floor, and 2 parking floors.